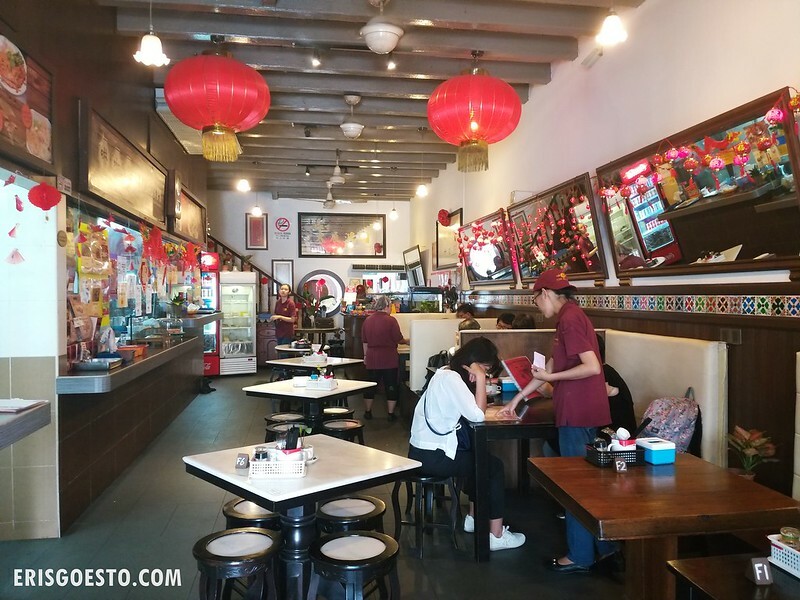 Most of the popular eateries in Ipoh like Sin Yoon Loong and Nam Heong were packed to the brim during Chinese New Year, so we sought out a quieter place for lunch, away from the bustling Jalan Bijih Timah area. 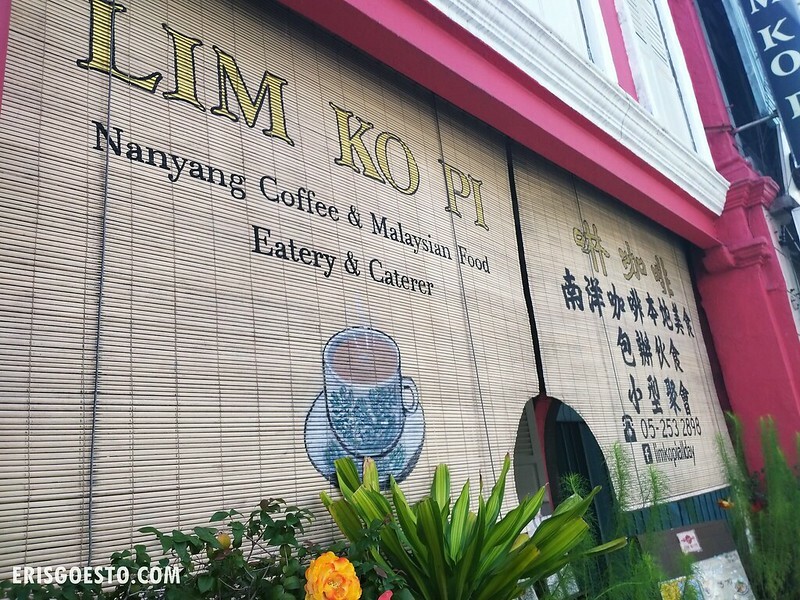 Enter Lim Ko Pi, located along Jalan Sultan Iskandar (old timers still call it Hugh Low Street, which was what it was known as during British colonial times). The bright red facade is hard to miss. You can either park behind the building and walk over, or across the road at a garage. 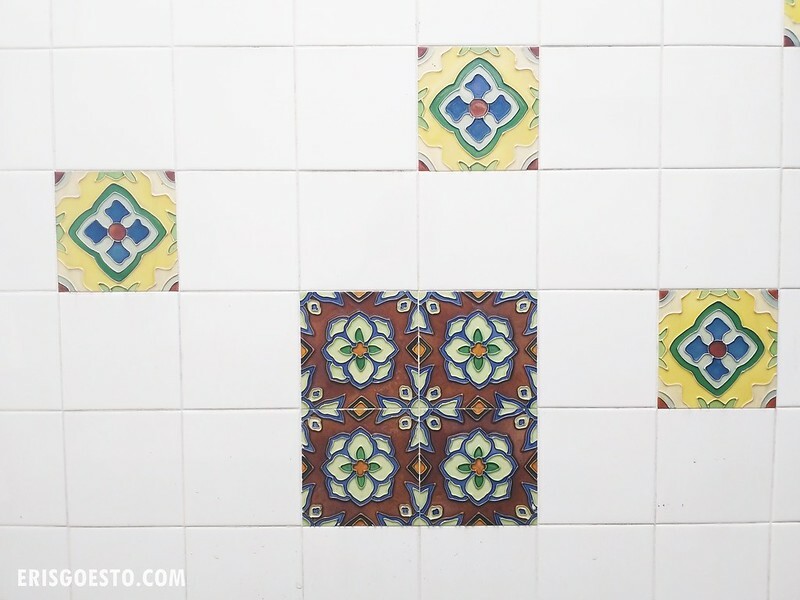 Modeled after old school kopitiams (coffee shops) but upgraded with modern comforts such as air conditioning, Lim Ko Pi is deliberately designed to evoke a sense of nostalgia, from the polished wooden furniture and booths to the beautiful tiles lining one side of the wall – commonly seen in old Chinese houses. Red lanterns were also hung up for the Chinese New Year. 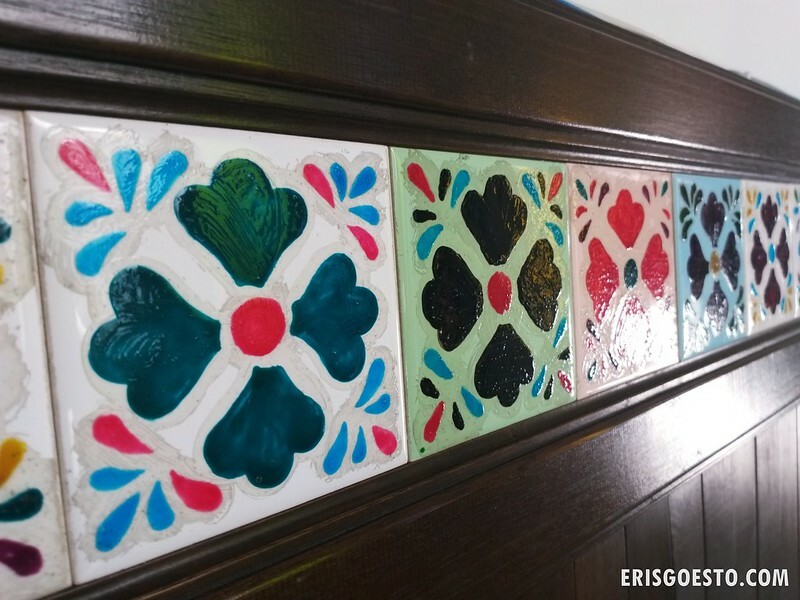 Love the tiles! You don’t see them much anymore these days. 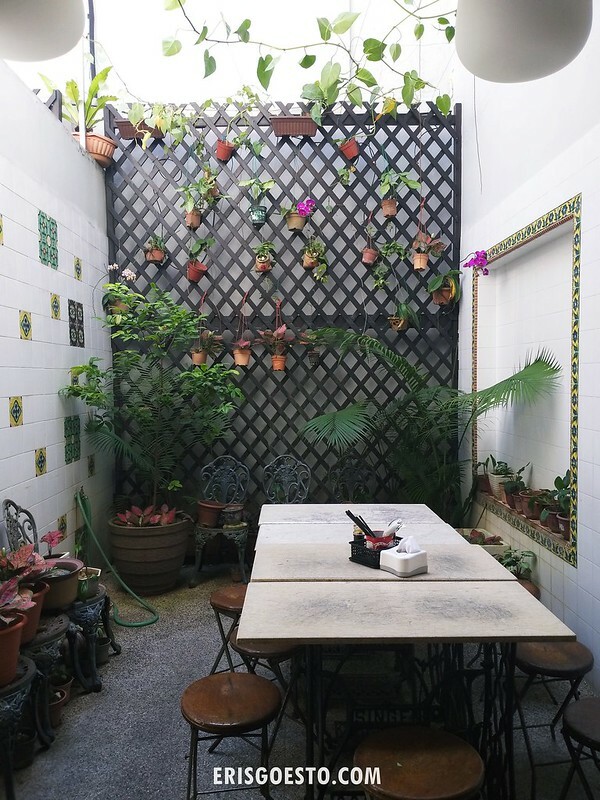 There are two open air courtyards at the back of the shop where patrons can chill at, with potted plants giving the space a nice dash of greenery. 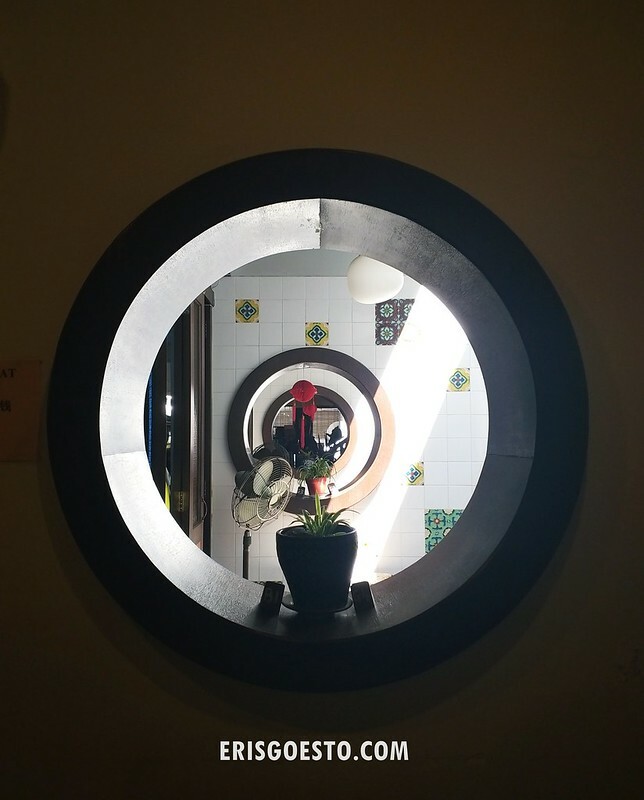 We settled in comfortably to the nostalgic surroundings – and food was served. Bro had the daily special (nasi lemak), but unlike the Malay version, this one had stir fried green beans and vegetables. The side of Chicken rendang was sizable, and it also came with a piece of fried poppadom (lentil cracker). 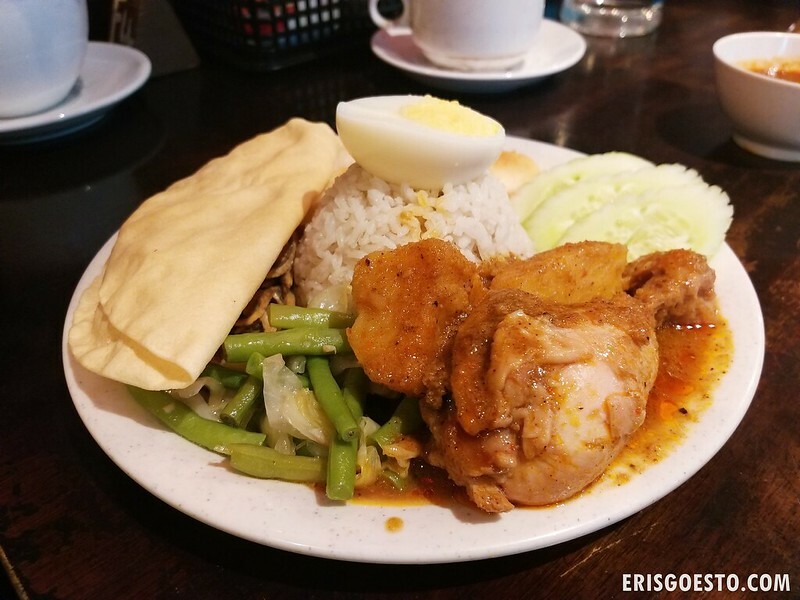 Tastewise, decent but lacking the strong, hearty flavours of Malay-style nasi lemak. 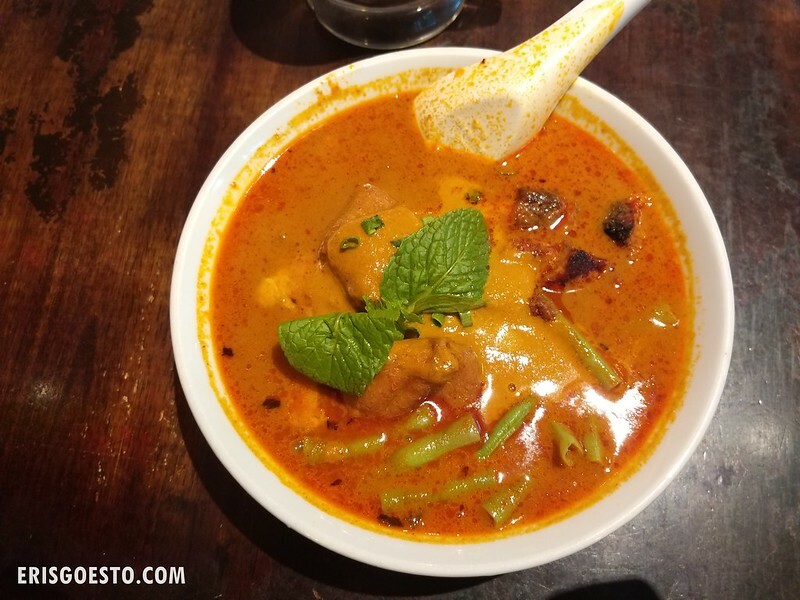 Pops and I had curry noodles. Flavours were okay but it was wayyyy too thick and starchy that it got cloying after a few bites. 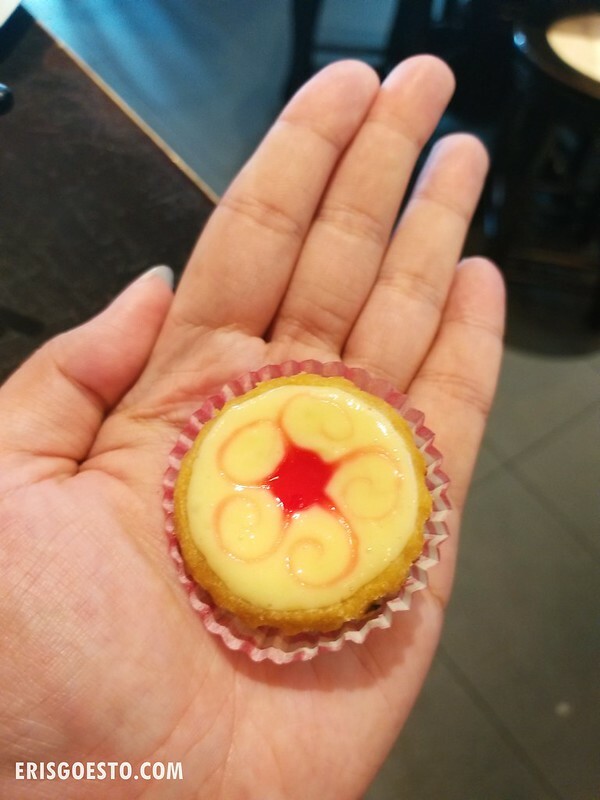 Mini cheese tart to end the meal. 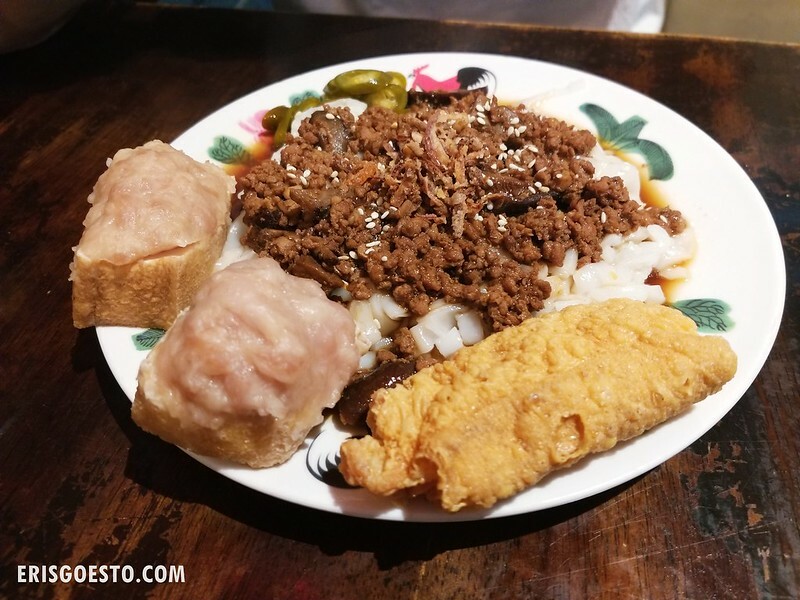 Service is fast and friendly at Lim Ko Pi, and the ambience is nostalgic but the food was just so-so. Still, a decent alternative if you want to avoid the tourist crowds at popular establishments.